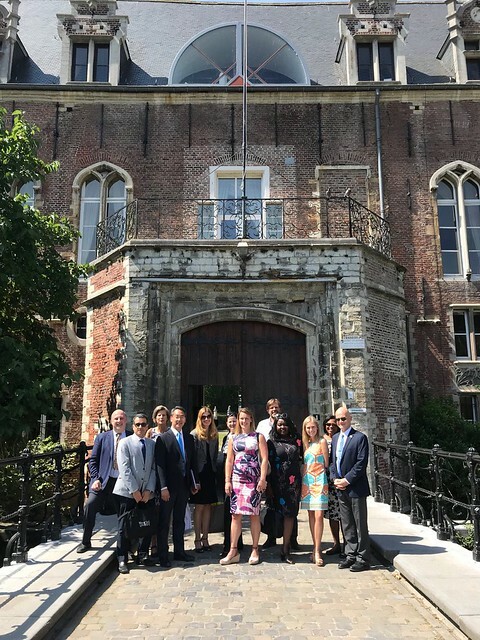 On 25-27 June 2018, the Fulbright Commission, along with the Flemish Foreign Ministry, hosted seven representatives from American universities to present them with information on Flemish higher education within Belgium and the various institutions their universities can partner with in the future, and I got to tag along for this journey. Participants included a Vice President of Global Programs, a Senior International Officer, and an Associate Provost for International Initiatives. 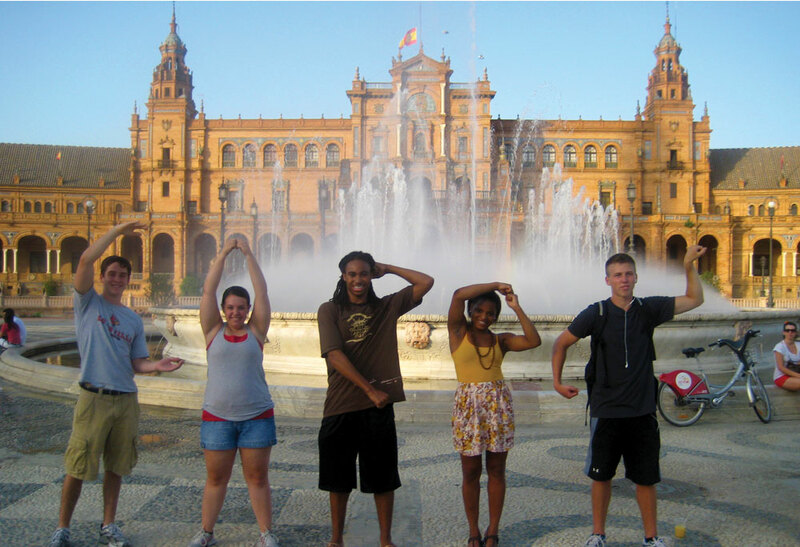 The following universities were represented: Wayne State University, Fordham University, Brown University, Georgia State University, University of Michigan, University of California Davis, and Boston University. As higher education professionals traveled across the world to participate in the short time-line, yet busy scheduled Flanders Inspires Tour, we wanted to make sure they were able to see all that Flemish institutions had to offer, all while enjoying delicious Belgian beer and chocolate of course. On Monday morning, we had a very informative day starting at the Flemish Parliament, where we learned about the ins and outs of Flemish involvement within the country of Belgium. After lunch we traveled to the European Commission and participated in multiple presentations with representatives from the Flemish Parliament, the European Commission’s Directorate General for Education and Youth Culture, the U.S. Embassy to Belgium, and the Fulbright Commission. The evening was spent getting to know each other in a more informal setting at the Errerahuis during a networking reception hosted by Freddy Evans, Secretary General of Flemish Foreign Affairs, and attended by many Flemish university representatives. The evening was filled with great conversation, bottomless campaign, and delicious Belgian food. Bright and early Tuesday morning I set off to Ghent with the Flanders Inspires participants and got to experience Brussels morning traffic via car for the first time- the ready and available coffee machine on the bus made the morning much more amusing. After touring Ghent University’s satellite campus and learning about specific university statistics, we were fortunate enough to be welcomes to ProDigest for lunch. The co-founders presented their spin-off business plan and how they have been the leading digestive research company in Europe for the past three years. (I know you’re wondering, and yes, we did have an extremely healthy lunch.) Their business has grown so immensely that in order to stay on Ghent’s campus, they will soon have to move out of the incubator and construct their own laboratory. Before leaving campus, we took a brief tour of the foul-smelling, but very interesting ProDigest lab where human digestive-like contraptions were housed and researched on. In the evening we took a guided walking tour through the city of Ghent where we were greeted with beautiful canal views and the crave worthy smell of waffles. It was wonderful to learn about the rich history of the city before settling down for a five course dinner at Restaurant Allegro Moderato as we watched the sun set over the old city canal to close out our second day together over fancy wines and great conversations. On our final day as we set off for Leuven on the Flanders party bus. The day started with information specific to KU Leuven and its studies and research, and with lots of coffee of course. After very informative sessions, we strolled over to the KU Leuven University Library to hear more from current professors and researchers. 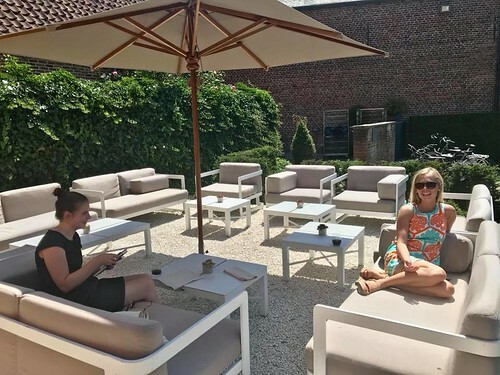 Lunch at the KU Leuven Faculty Club was a beautiful retreat, greeted by the Vice Rector and mayor of Leuven; it really set the tone for the enjoyable evening to come. The lunch was filled with wholesome conversation and delectable chocolate mousse to really connect the American professionals with the faculty at the University of Leuven. Following, lunch we ventured away from the main campus to see the beautiful engineering and science campus and learned more about their student and staff diversity in specific programs. We then journeyed to the bustling biomedical campus, the largest hospital system within Belgium. 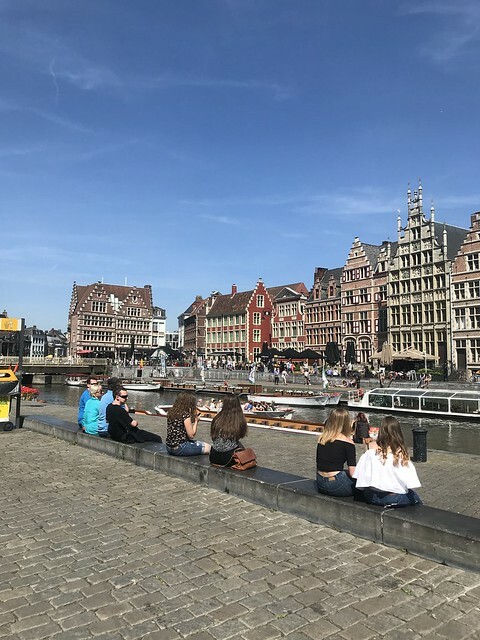 In this metropolis of a medical school, we learned more about the endless areas of medical research funded by KU Leuven and conferenced with a neurosurgeon about his fascinating role at KU Leuven. The evening was filled with multiple surprises and delectable treats. 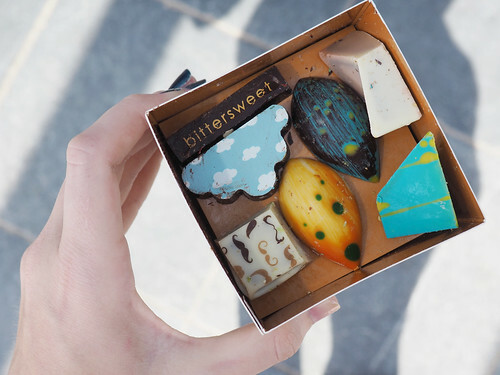 Starting at Bittersweet, a Flemish chocolatier spoke to us about his company and let us taste one-of-a-kind chocolate treats. A short stroll back to the center of the city was enough to make us crave more, and the perfect time to start the native Belgian beer pairing menu at the traditional restaurant Mykene. Over the most amazing food and beer, we reflected on the detailed information we were presented with during the previous days and the worldly connections that we take back to our home institutions. A somber bus ride home ended with big hugs and thorough goodbyes. It was a great experience to help show American academic professionals around the country I’ve called my own for the past couple months and shown a whole new light on Flemish institutions I am surrounded by. I was lucky to meet these accomplished academic professionals, and I know I will continue to be in contact with several of them when I move to Boston next year to start my master’s program. This entry was posted in Uncategorized by Tara Dunaway. Bookmark the permalink.